What Will You Stamp Guest Stamper! You read that right! I’m this week’s What Will You Stamp? 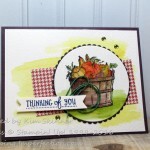 Challenge Blog’s Guest Stamper. My card was randomly selected as the winner for the Ghoulish Grunge challenge and I have the privilege of being their guest stamper for the week!! The challenge this week is to use the Labeler Alphabet stamp set. You know that I love alphabet stamps! I love how this card came out! I used a couple of fun techniques. You can see that I did a watercolor wash background on watercolor paper. I swished my Aqua Painter across the 4 x 5-1/4″ piece of watercolor paper and then just brushed my pumpkin pie, crushed curry and old olive markers across the paper to add a washed background. 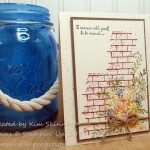 I stamped in cajun craze over the top of the wash once it dried using the Gorgeous Grunge stamp set. I created two leaves with the leaflets framelits using the suede technique. One is done in crumb cake and one in cajun craze. I will do a quick video to show you this technique! 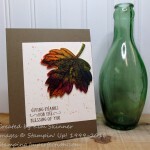 It’s so much fun and it adds great texture to your card. It’s also quick and easy. Don’t they look like raggedy real leaves?! I added some linen thread loops below the leaves and a piece of burlap tied with linen thread on top. Finally, I’ve added some Gold Metallic Enamel Dots. How did I use the Labeler Alphabet? I just stamped my sentiment letter by letter, aligning the edge of my stamp with the image of the previous letter. When I completed the words, I cut them out leaving a little of the very vanilla card stock showing around the edges. After experimenting with it, this was the version that I liked for this card. I’ve used soft suede ink on very vanilla card stock. I created each word separately and attached them to the card with a little space in between. How fun is that stamp set? You can make any sentiment that you want! You could create an entire story or poem using this set!!! 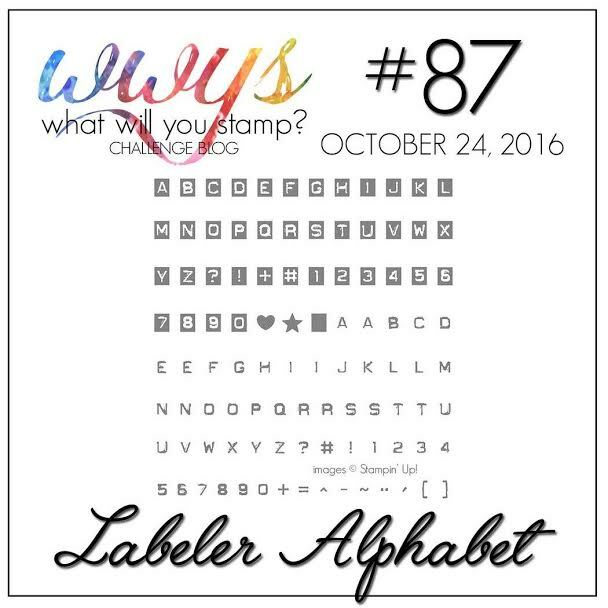 Stop by the What Will You Stamp? 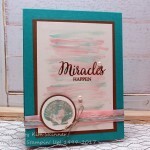 Challenge Blog and see what the design team has created using this same stamp set! Check out my badge for winning…you can see that I’ve added it to the sidebar of my blog as well! 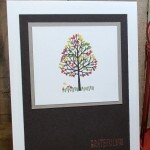 If you need supplies, you can shop online at mystampingstore.com! Oh my gosh! I love this card so much. It’s amazing. This card is so gorgeous!! What a treat to have you as our guest stamper at WWYS this week! This card is just so pretty Kim. I just love the leaves. Can’t wait to see your video on making them. I hope I didn’t miss it. Congrats on being a winner!! Oops sorry for commenting twice! But I meant everything I said lol! Thank you Anita!!!!! I really appreciate your comments!! !